Is Content Curation Useful For My Brand? Content curation, often defined as collecting content from outside sources and sharing it with a target audience online, boasts many benefits. For instance, it allows digital marketers to build a reputation for thought leadership within a particular niche using an abundance of quality content that they don’t have to create themselves. Curators must also be very careful when choosing content for curation to ensure their sharing doesn’t harm their brand. But just what does it all entail and how can marketers determine whether it should it be part of their content strategy? 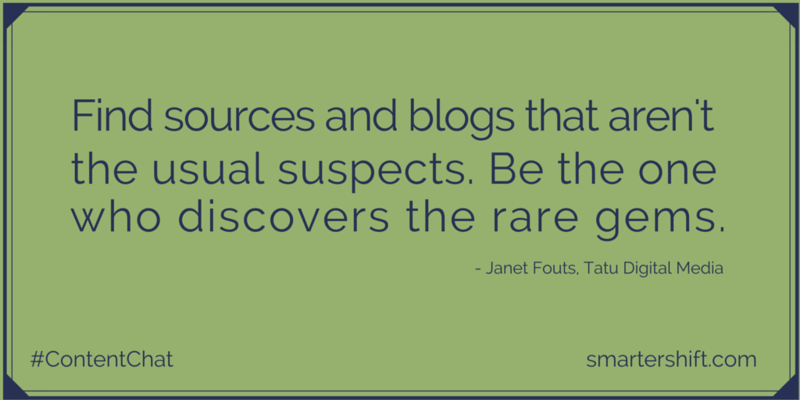 Our #ContentChat community responded with enthusiasm and quite a few good tips of their own.